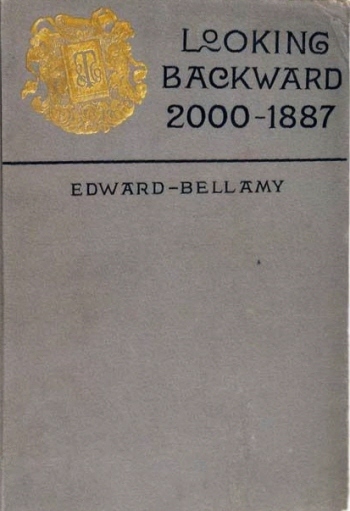 Edward Bellamy's Looking Backward from 2000 to 1887 is Rip Van Winkle in reverse, with a Utopian twist. Bellamy, who had socialist political inclinations, wrote the book because he was disillusioned by his view of an increasingly competitive industrialized society. The book became a sensational best seller in its time, selling over one million copies, and was the second most purchased novel at the end of the nineteenth century (behind Harriet Beecher Stowe's Uncle Tom's Cabin). The book gave rise to Nationalist Clubs that were eagerly joined by people dedicated to enacting Bellamy's political vision. Return to the Edward Bellamy library.